We’re all fans of the main event. 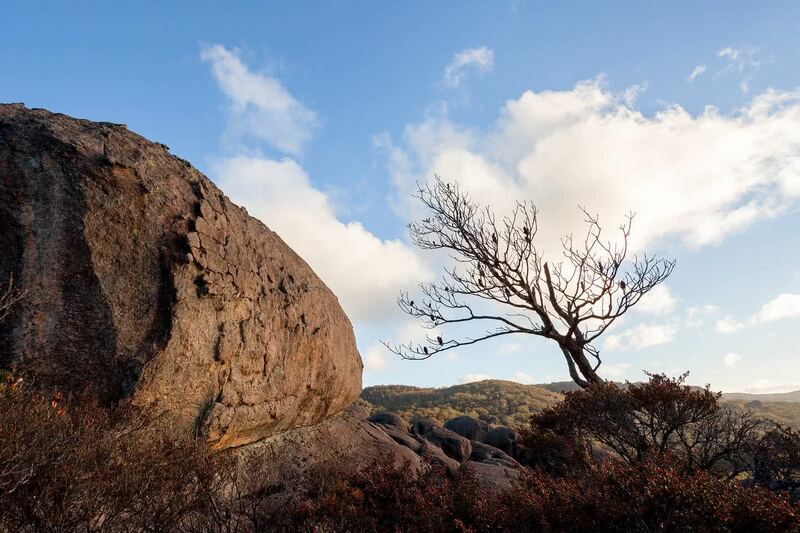 Cathedral Rocks is a bonafide natural wonder, but Liam Hardy reckons that Woolpack Rocks is just as worthy of your time. 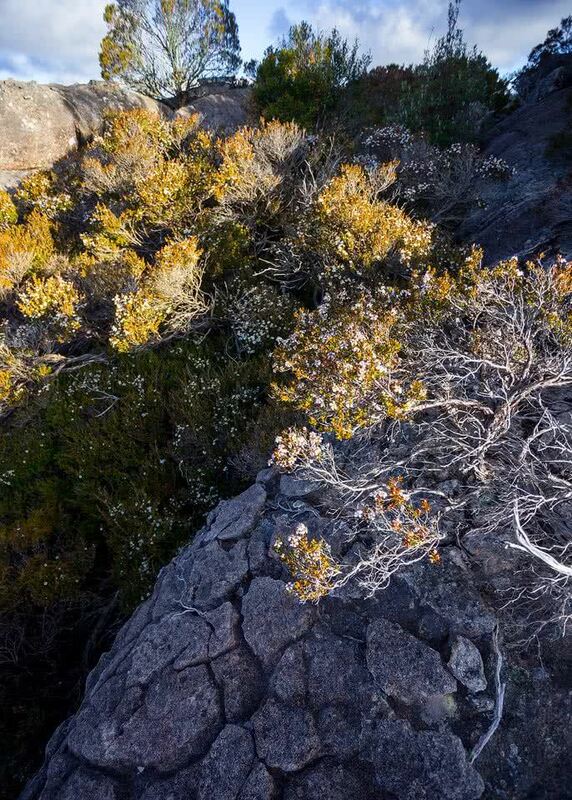 Check out this smattering of boulders hidden a bit deeper into the bush, and consider a cheeky summit. Cathedral Rock National Park in Gumbaynggirr nation sits high on my list of must-see locations in New South Wales. I’ve been out there a couple of times and marvelled at the incredible view from the park’s main attraction: Cathedral Rock. 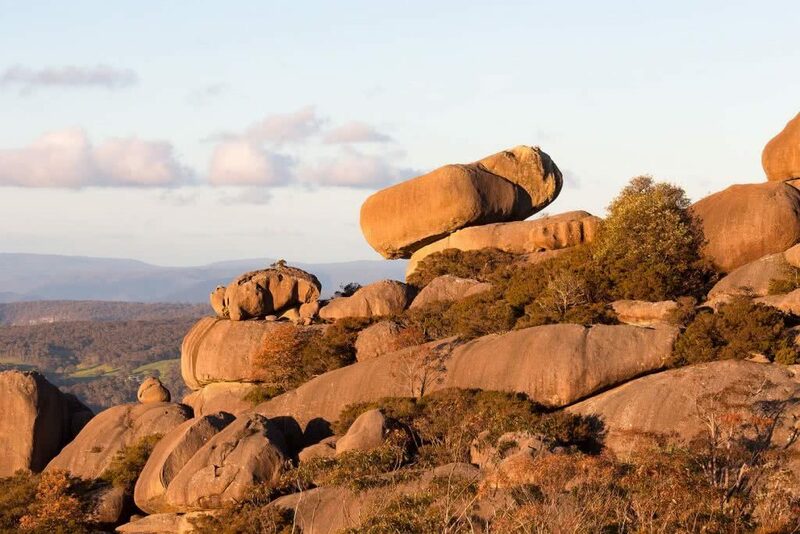 But hidden behind the rolling landscape, 2 kilometres to the north, is where you’ll find a lesser-known but equally impressive natural wonder known as Woolpack Rocks. 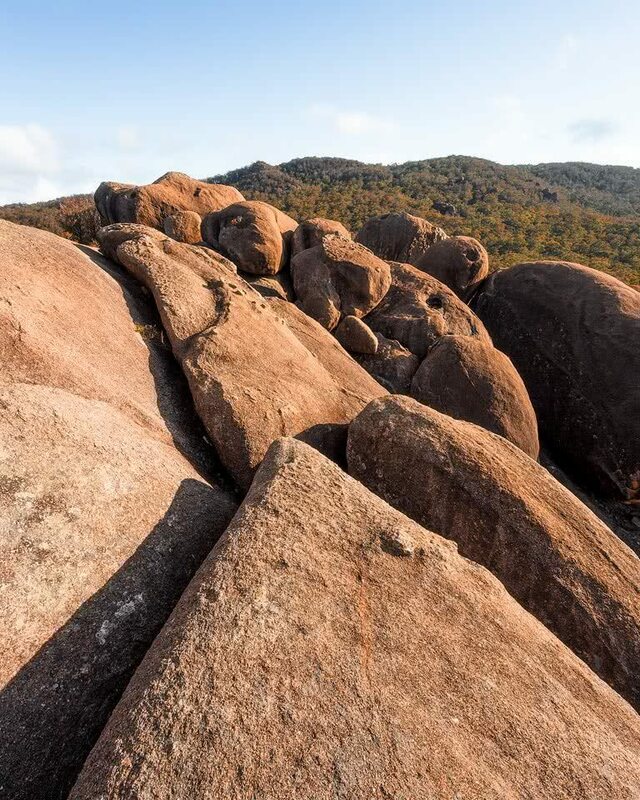 The huge granite boulders you’ll find here are part of the New England batholith dating back roughly 270 million years. That’s a lotta years, man. I hit the road from home in Coffs Harbour around lunch time and arrived at Native Dog campground a couple of hours later, hoping I’d be witness to a cracking sunset at the rocks. I finished off my five-dollar pizza, threw on my camera bag and started the 4km hike to the summit. The walk alone is beautiful, passing by plenty of big boulders (surprise!) scattered through the bushland, a small open plain and a cool, lush area of forest at the beginning of the ascent. I remember catching a glimpse of Woolpack Rocks about half way along the track and thinking “sh*t, those are bigger than I’d expected!”. 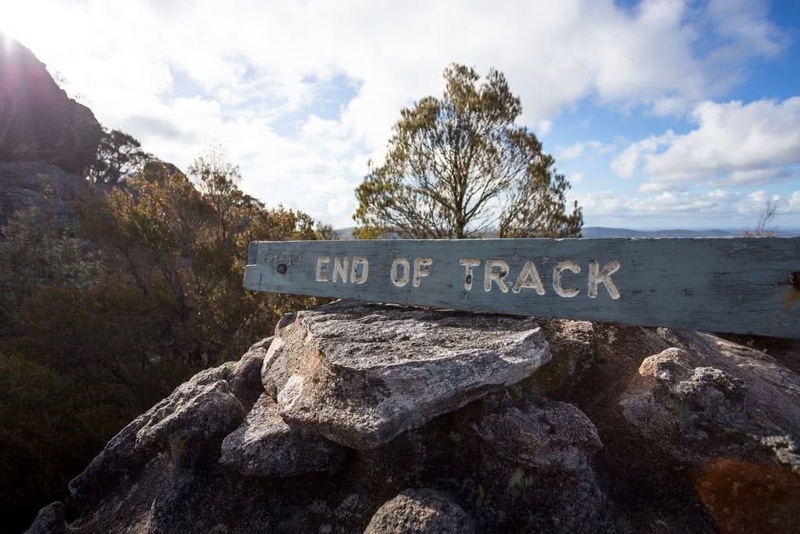 The hike to the top isn’t quite as taxing as Cathedral Rock walking track and the last one hundred metres or so involves a fun rock hop up to the summit where an old timber ladder helped me on my way. Kudos to whoever carted it up there! A weathered sign indicated that I had arrived at my destination, where I sat for a while taking in the view all the way to Guy Fawkes River National Parl. I spent the next hour and a half photographing the rugged landscape as the sun set and clouds rolled past. The sunset wasn’t as colourful as I’d hoped for, but still beautiful nonetheless. I made my way back to the car with just enough light left to make my way without taking out my head torch. I’ll admit I get the creeps walking through forests at night alone! 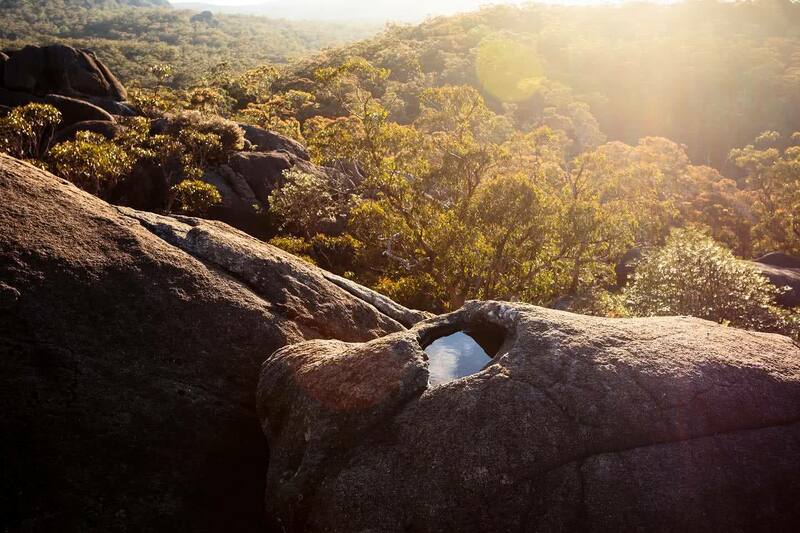 If you’re up for a full day of adventure, you can hike the 9km Barokee to Native Dog Creek track passing Cathedral Rock and Woolpack Rocks along the way. 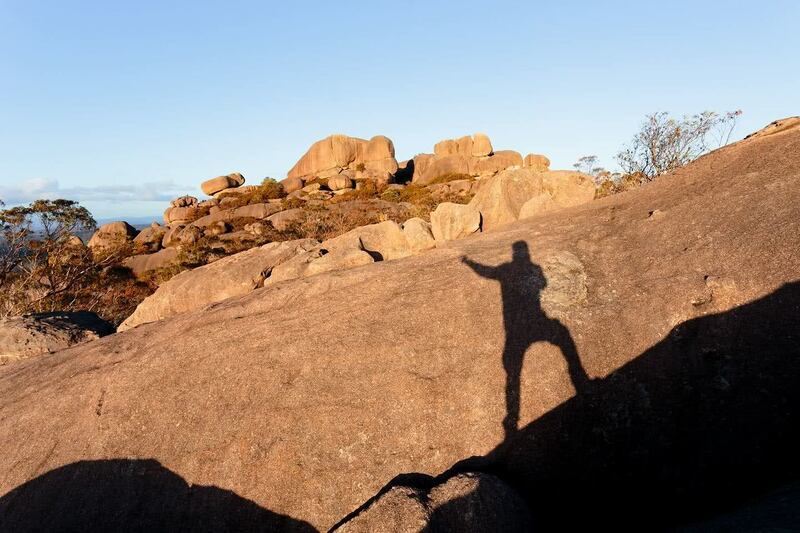 Also, check out Matt Horspool’s microadventure for more info on Cathedral Rock. 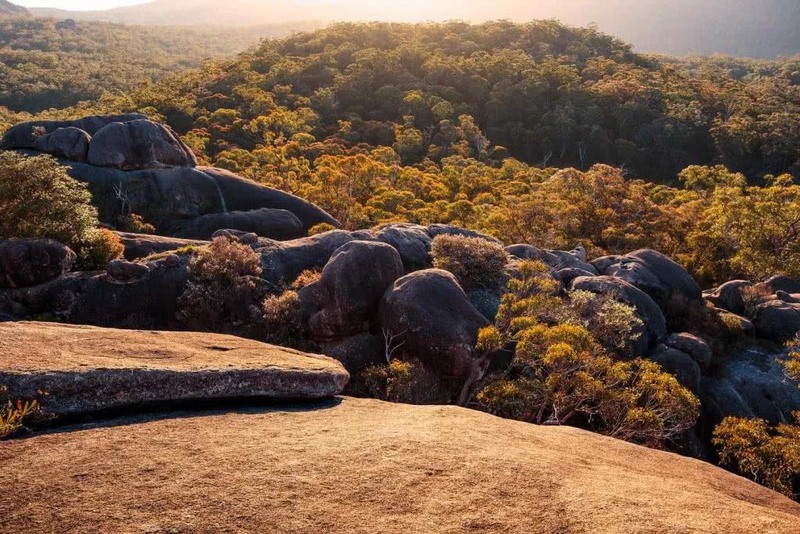 If you happen to get sick of boulders, New England National Park is just around the corner and shouldn’t be missed! Communication device of some sort. Phone reception is strong at the summit but poor in most parts of the park. A PLB would be wise, especially if hiking solo. A rubbish bag as bins are not provided. Leave no trace! Photography – astro would be epic here! Native Dog campground is approximately 600km north of Sydney, along Guyra Road. The turnoff is 12km from the small village of Ebor.